Cars can be such a wonderfully irrational purchase: that’s why Alfa Romeo, Mini and Maserati still exist. But even the most romantic petrolhead doesn’t want to pay over the odds for a car, so Peugeot is obsessing about the new 508’s cost of ownership. And the make-or-break figure is how much hard-earned a 508 is worth after three years, known drily in the trade as its residual value (RV). And that’s the nub of it: because a customer has to fund a car’s depreciation over a lease, a model whose value drops like Sunderland through the football leagues is cost-prohibitive. So Peel has taken steps to shore up Peugeot’s RVs, since he took over two-and-a-half years ago. On the banned list: forcing cars into daily rental fleets and incentivising dealers on sales volume – that only increases the temptation to pre-register stock, and their secondhand stigma hits their value. The MD has even changed the approach to dealer demonstrators, supplying them on contract hire and taking them back if dealers aren’t prepared to sell them at the appropriate residual value. Solid in theory, but his predecessors made similar promises, all empty. Peel hits back with the example of the 3008, the first car he launched. Industry RV-setters CAP initially forecast Peugeot’s SUV would hold 44 per cent of its value after three years. Subsequently they hiked the RV by 10 points, thanks to the car’s used appeal and Peel’s policies. And the 508? A diesel’s projected RV after three years and with 60,000 miles on the clock is 36.3 per cent, not far off an Audi A5 Sportback’s and better than the premium German saloons. It’s an RV that can fund a £299 per month PCP rate over four years for retail customers. Other costs are competitive too: Peugeot expects a £52-a-month service and maintenance bill, just a quid off the best-in-class Vauxhall Insignia. Plus the car’s low CO2 figures minimise tax rates for company car drivers. The 508 fastback arrives in UK dealerships in autumn 2018, the SW estate version follows in early 2019. Historically UK buyers have preferred the wagon, but Peel thinks demand will be split pretty evenly across both body styles this time. And there’s another prediction the managing director is prepared to make, a bold one. 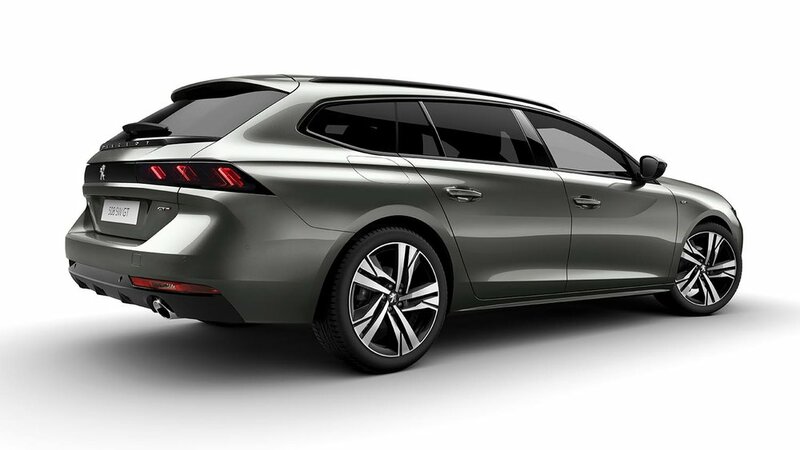 That of his company selling 4500 fastback and SWs in a full year, which would be one hell of a comeback for the Peugeot 508.